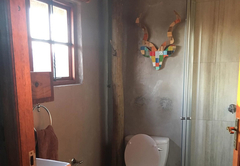 Vilagama Private Game Lodge is a highly recommended property providing self catering in Mookgophong for tourists visiting the Waterberg region. A unique experience awaits the outdoor and quad enthusiast at this private game lodge surrounded by the majestic Waterberg Mountains. Only 200 km from Pretoria in a malaria free area, located 36km from Naboomspruit (Mookgophong) in the Limpopo province, it's less than 2 hours drive from the hustle and bustle of the city. 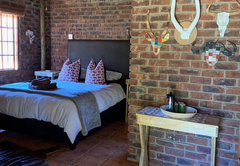 Accommodation is made up of two exclusive private houses, with two bedrooms, two full bathrooms, an open plan kitchen and lounge with TV and private braai area. 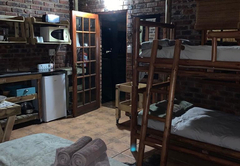 The houses sleep eight people with two double beds and two bunk beds. 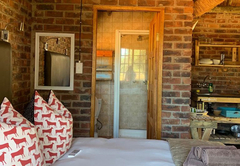 Also available are seven stylish thatch roof chalets with en-suite bathrooms and kitchenettes and your own braai area. 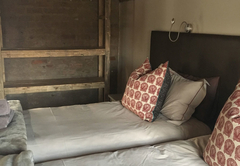 Accommodation is provided in the form of two four sleeper, four two sleeper and one six sleeper room. Three standard huts (two sleepers) with shared facilities and a camping area are available. 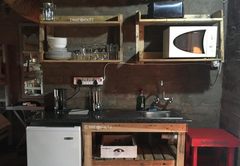 Enjoy your self catering meals at your private braai area or at the lapa, if you are a group of family or friends. Catering for groups is available on request. Firewood and ice will be provided at no additional cost. All accommodation is serviced daily. Explore nature from the seat of your own quad. 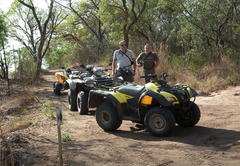 Ride trails of over 70kms on your own quad on the game farm or take a more challenging trail of 30 kms through the foot end of the mountain range, truly spectacular and catering for the novice to experienced rider. We offer game walks or game drives on our Game drive vehicle or on your quad, where you will see herds of Impala, Blesbuck, Kudu, Eland, Oryx, Blouwildebeest, Rooihartebeest, Bushbuck, Waterbuck, Duiker, Zebra, Giraffe and Warthog. Big five game drives can be arranged at Legend Lodges Entabeni Game Reserve 10 km away at additional cost. 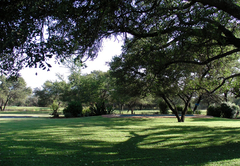 Play golf at four exceptional bushveld golf courses within close proximity to Vilagama. With Legend Golf (Entabeni) only 10 km off the road, Euphoria Golf Estate Hydro 50 km away, Potgietersrus Golf course 40 km away and Naboomspruit Golf course 35 km away, the choice will be difficult. 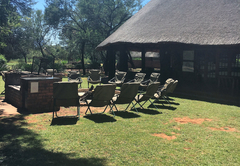 After a day on the golf course you can experience a sunset game drive and a true bushveld braai at Vilagama. Enjoy bass and carp fishing at the lodge close to your chalet. For the kids we have a swimming pool and trampoline and a special quad trail close to the lodge where parents can keep an eye on them. 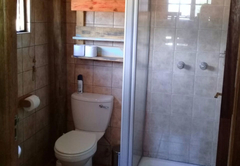 Thatch roof chalets with en-suite bathrooms and kitchenettes and your own braai area. 6 Reviews from SA-Venues.com travellers. All reviews are verified. Wat 'n wonderlike naweek!Sal beslis weer 'n keer wil gaan.Alles pragtig skoon en netjies. Die personeel, Jacob, Frans, Liesbet en Sophie. Julle verdien 'n klop op die skouer. Julle het sooo baie moeite vir ons gedoen. Eerste geleentheid wat ons weer kry is ons beslis daar. Dankie. Vilagama is definitief aan te beveel as jy wil wegkom uit stad se gewoel!! Kobus en Andria de Waal. Thank you to our very friendly and helpful host !! 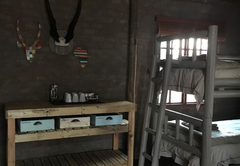 The accommodation is neat, well maintained and clean in a lovely environment. We saw game daily, some even comes into the camp. I'll recommend a stay anytime and will certainly visit again.